The basis of this idea is the enhancement/augmentation of the human brain to increase cognitive capability. The first idea was to simply allow a deeper connection between the human mind and the computer by allowing not only the brain to directly communicate with the computer, but allow the computer to directly communicate with the brain. Then it went to something deeper, much deeper, my next idea was to allow a DIRECT connection of communication between human minds. Allowing us to have, thousands of conversations in less than a second. I will talk about that later. what if i could allow DIRECT communication between a human brain and a computer? Now when i say between a brain and a computer i dont just mean the brain communicating with the computer, but the computer also communicating (sending information) DIRECTLY to the brain. The possible effects/applications of this technology would be truly astounding. For example, we INNATELY know math, when we throw a ball into the air and catch it our brain runs an algorithm, allowing us to trace the path the of the object and predict where its going to land, its amazing truly. Now what if i could attach a calculator to your frontal lobe? We would understand math at a level incomprehensible at our current state. If i can do this, the effects would be so profound, that historians would literally draw a line in history between before and after this technology came into existence. In the coming years after, We as humans would begin to transcend war, Most if not all traces of famine would cease to exist, Most work involving labor would be taken over by automated systems, Most jobs if not all jobs would be work that would require intense thought processing. illiteracy would truly become a thing of the past. With this technology we would become incomprehensibly more intelligent. There has been research and even tests with the idea of direct communication between the brain and the computer, unfortunately it was only the brain communicating directly with the computer. Here is an example. 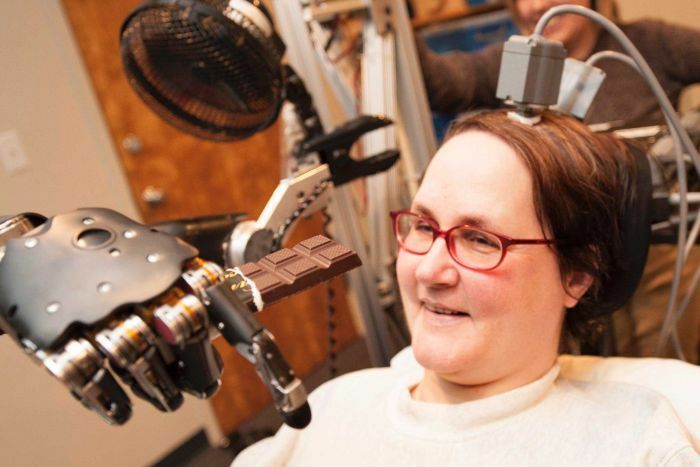 In this experiment, the woman is controlling the robotic arm with her brain, she is literally DIRECTLY communicating with the computer. Unfortunately, the computer is in no way communicating directly with the brain. This is a prosthetic eye that can cure blindness, Shiela Nirenberg is its creator. This woman figured out a way to understand the code behind the photo-receptors in the eye. and she also figured out a way to allow DIRECT communication between the computer and the neurons within the eye. You can watch the ted talk about this technology here. 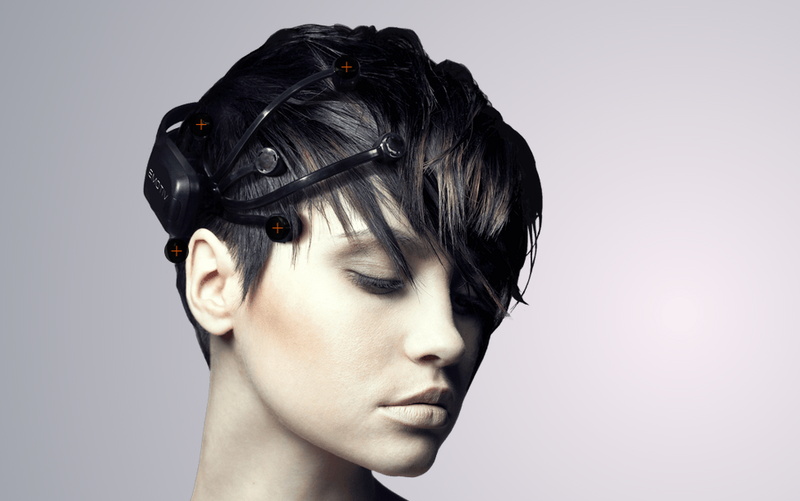 Another example of this is the emotiv neural interface headset. You can watch a youtube video of a person using this headset to play angry birds, with their brain. The more i research, the more i realize that my idea is very possible, and the confirmation of the real possibility that this could all come into existence, brings me so much elation. Seeing how i am not rich and can not get access to a working human brain or even a small bundle of neurons for that matter. There is really no way for me to do any tests with the resources i have, but that does not mean i cannot theorize. Here is a image of a neuron. dendrites, jumping from neuron to neuron. 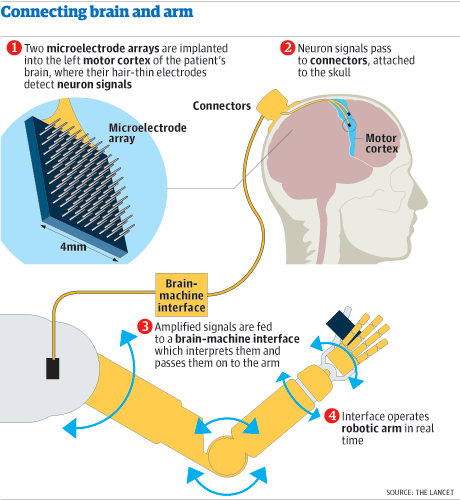 When i say i want direct communication between the computer and the brain, i am literally saying i want the transistors within a computer to be the direct cause of the neuron firing. In order to do that i have to figure out a way to transfer movement of electricity through a transistor into movement of a solution within a neuron. Luckily, a person from MIT already figured this out/is working on this. His name is Edward boyden, and I hope he and I will soon work together. Edward boyden found a cell that had receptors on its membrane that respond to light. What he did was take the DNA from that cell, put it in a virus, and injected the virus into the brain of a lab rat. The virus infected the lab rats brain cells and caused them develop this type of receptor. Edward boyden then fired light at the brain cells of the lab rat, causing the brain cells to fire. Refer to the links below for more information on this technology. Using this same technology, I will simply connect the lasers to individual transistors, and have the lasers turn on whenever a transistor fires. There is a problem though, i fear that brains and our transistor based computers compute information in very different yet similar ways. So instead of using the computers we use now, i am working on a new way to compute information, this new way to compute information mimics the way the brain computes information, and i think will work better in terms of augmentation. The technology to do all of this is still decades from our grasp. None the less, I WILL bring this technology into existence, imagine having a hard-drive attached to your hippocampus. Allowing you to instantly save information into your brain, and allowing you to pull that information anytime you want/need to. Imagine having a calculator attached to your frontal lobe. Yea you will be able to solve any math problem some one throws at you (actually the hard-drive would already accomplish that, simply download every math problem and the answer to that math problem into your brain). But the real beauty of attaching a calculator, or rather, a processor to your frontal lobe. Is that we will begin to understand math and do mental calculations at a level never experienced before. Imagine the societal affects of such technology. it will happen, eventually, if it's not happening already at some point(?). don't feel discouraged by the lack of resources, if you always try and work hard, the resources will come to you, and your ideas will become reality. Thank you for the uplifting words.